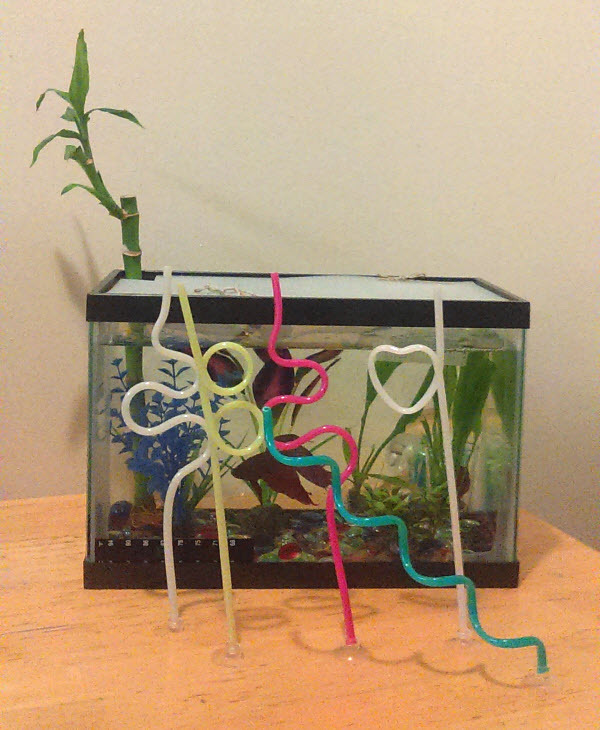 I really liked the idea of using Krazy Straws in general, so I went to the Dollar Tree to find some. Success! 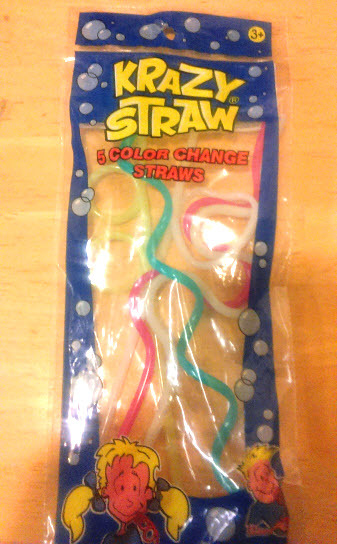 This pack has 5 straws in it that are a variety of colors and shapes. They were a little taller than Finley’s tank, so I stuck a couple in through the food hatch in his DIY Tank Lid. I could have just tossed them in horizontally too, but I wanted the krazy part to be up higher so that he could swim through all the loops. If you had a taller tank, you could stick the bottom of a straw into an airline suction cup (at PetCo for $2 or on Amazon for $2) with the handle removed. Or, instead of standing them inside the tank, just stand them outside the tank for your fish to look at. 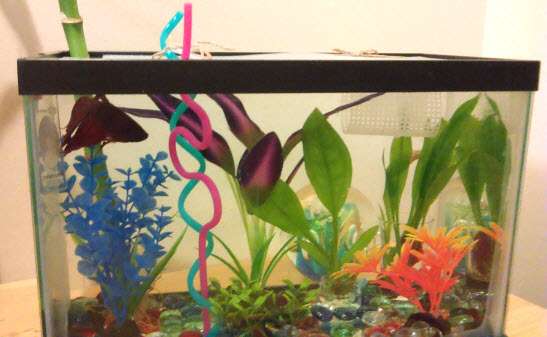 If you do put them outside the tank, and your fish loves hair ties as much as Finley does, you can combine the two! In short, thank you so much Red Jay and Red Jay’s Mom! Your soccer video has inspired some fishy fun! 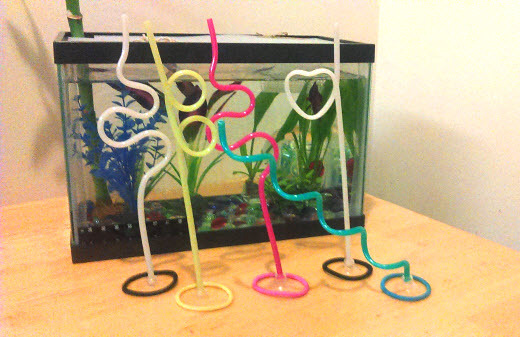 If you can’t find Krazy Straws at a dollar store near you, you can order them from Amazon! The images below are clickable and links to the product page on Amazon. (As an Amazon Affiliate, I earn from qualifying purchases.) Lots of krazy straws out there!